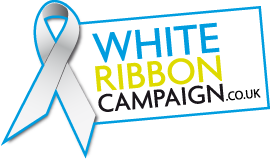 The White Ribbon Campaign focuses on men and women working together to end violence against women and girls. It is an international campaign, which promotes two weeks of action every year and includes November 25th, International White Ribbon Day for the Eradication of Violence Against Women. In Cardigan on Monday, November 25th, West Wales Women’s Aid and Small World Theatre are staging an event to release loads of white balloons. It’s at 1pm at Small World Centre. In Carmarthen there is a Candlelight Walk on Thursday, November 28th, starting at 5pm at the Market Clock Tower. The walk will finish at the Guildhall steps, where there will be a reflection to remember women who have died as a result of male violence, followed by some speakers. Refreshments will be served at the offices of Carmarthen Domestic Abuse Services and Hafan Cymru, at 5-6, Queens Street. White Ribbon day is about showing the positive role that men play in preventing violence against women. Men wearing the white ribbon are saying loud and clear that they will never condone, take part in or remain silent about domestic abuse against women. break my face with your fist. You can make me ... make me. accuse me, refuse me, abuse me. blood pours from my nose. clench your fist on my breast. I fall. You kick. I hold my head. I am so far away now I do not feel the pain. You kick me in the back. Kidneys. You slam the door as you leave, turn the lock. and the day after, you will never stop. 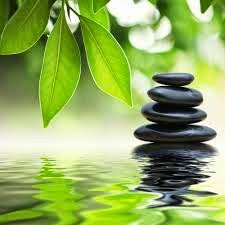 You can do all this, but you will not win. but you can’t defeat me. that even you cannot reach. a small knot of inspiration. and my cunning and my planning. nurtured by a scrap of hope. I will be free of you.